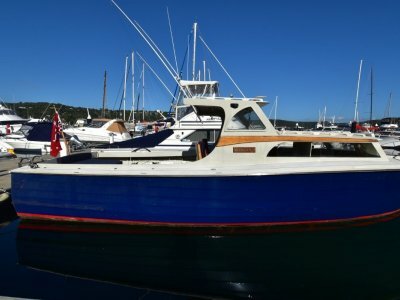 1996 Corsair 28 for sale. 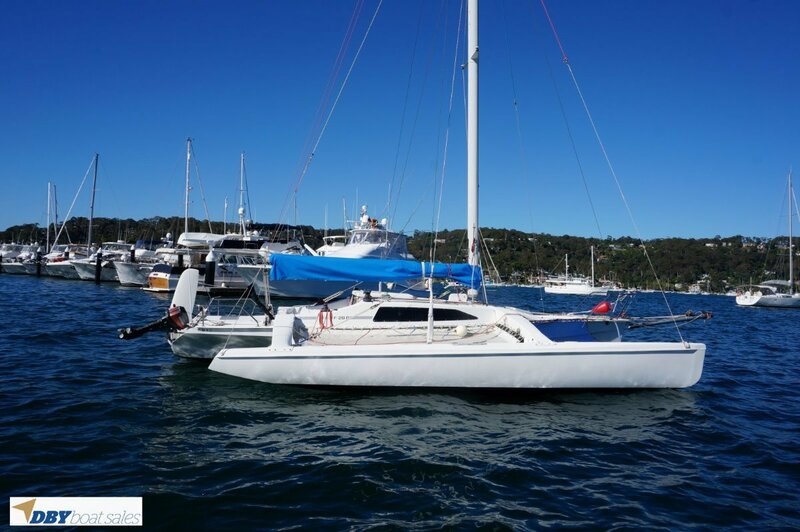 This F28 Corsair Summit is set up for competitive racing sporting a carbon rig and generous sail plan. A very popular design due to its quick folding ability to enable her to be derigged and trailered anywhere. She has a spacious interior for liveaboard exploring, her generous windows and hatch ensure lots of air and light. 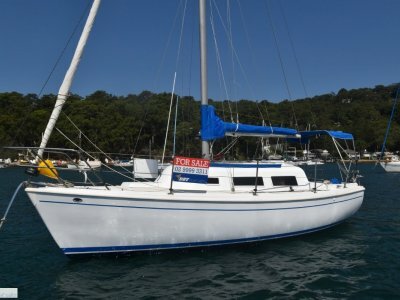 Her wide beam and trampolines give good stability and ensure comfort at anchor in the remotest and shallowest of locations. Engine Notes : New fuel lines and fittings - 2017. Sail Inventory : Main Sail, about 12 years old but still in very good condition; suitable for racing. 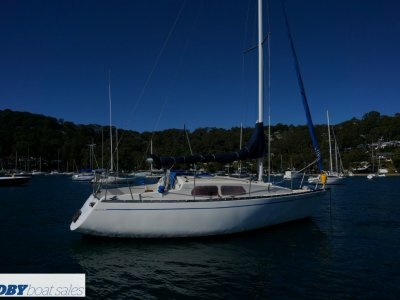 No 1 Jib excellent condition No 2 Jib, our working jib, about 5 years old custom design (by Kurt) at a cost of $3600. Standard spinnaker, original sail, still in usable condition. 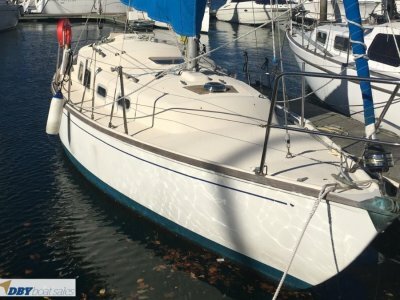 Xtra large Spinnaker with sock, great sail in excellent condition Heavy weather spinnaker; never used Reacher on furler in very good condition. Covers : New boom cover and shroud covers. Remarks : Cat 7 Compliance.